Handmade Floral Sterling Silver Earrings, "Priestess"
Splendid flowers and swirling tendrils adorn graceful silver hoops. Cut out and shaped by hand, Gianluca Anzani's charming earrings are eternally feminine. Because of their rustic, handcrafted nature, size could vary slightly. 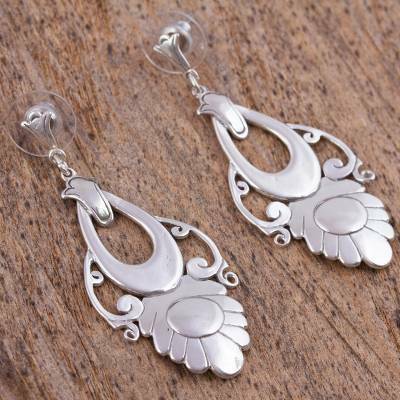 These earrings are beautifully crafted and look great on. I appreciate the excellent craftsmanship that went into them and look forward to wearing them for many years!